At the moment, cognitive-behavioural theory is the operative frame of reference for mental health care in forensic settings for both youth (their parents) and adults. In forensic psychiatry and psychology, it concerns offenders with a psychiatric disorder or with a psychological problem who are evaluated because of a court order and who are sometimes obliged to follow a treatment or rehabilitation program afterwards to reduce recidivism risk. Last two decades, the development and application of evidence-based risk assessment instruments has assumed large proportions. However, there is still a need of specific evidence-based assessment instruments who may give further insight in the criminogenic and protective determinants of criminal behavior. Although there is now knowledge about the conditions to which effective treatment or rehabilitation programs have to fulfill, most research on the effect of this programs has largely been performed in Canada and the United States, and not so much in Europe, with the exception of the United Kingdom. Therefore, European clinicians and researchers need to join their efforts in order to deepen the insight in the specific problems of our offenders and the interventions that are needed to reduce their recidivism risk effectively. 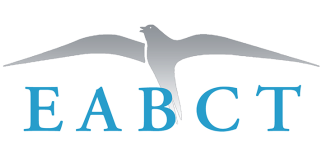 The aims of this Scientific Interest Group of the EABCT are to foster collaborations and discussions on scientific issues, to start up joint research projects, to exchange assessment instruments and treatment or rehabilitation scenario’s, and to organize meetings, symposia, and workshops. In addition, the SIG will investigate the viability of a new international journal for publications on cognitive-behavioral assessment and treatment in forensic settings. Welcome to all the experts on forensic CBT who wish to join our group!